Eyelashes suitable for use on Teddy Bears, Dolls and soft toys which can be either stitched or glued in place. Image featured is an example of a Feathered finish Eyelash. Available in either a soft Feathered finish or the bolder Spiky finish, these Eyelashes are a fun way to add some personality to your project. Eyelashes suitable for use on Teddy Bears, Dolls and soft toys which can be either stitched or glued in place. Available in either a soft Feathered finish or the bolder Spiky finish, these Eyelashes are a fun way to add some personality to your project. Actual Eyelashes measures 30mm wide with approximately 10mm long lashes each. 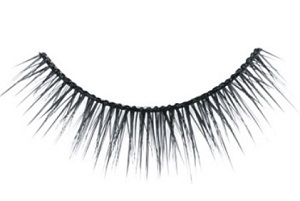 Image featured is an example of a Feathered finish Eyelash. Click HERE for Clyde 16 inch Camel Pattern by Margaret McEvoy which would showcase either of these Eyelashes types. Clyde 16 inch Camel Pattern is a fun and happy stuffed animal suitable for children over 3 years old. Clyde sits about 10 inches tall is very well behaved and is looking for a buddy to accompany on their adventures. The Clyde 16 inch Camel Pattern is suitable for an enthusiastic Beginner to the more experienced Bear makers.